Written by: Webmaster on October 30, 2015. On the October 20, 2015 Boomer Generation Radio program, Rabbi Address chats with Dr. Alan Steinfeld about his early retirement. In the second half of the program, the guest is Social Security Commissioner Carolyn Colvin to discuss the 80th anniversary of the Social Security System. 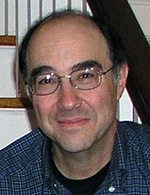 Dr. Alan Steinfeld, an oncologist who was on the faculty of the School of Medicine at New York University, retired in his mid-50s to pursue his interests in genealogy and gardening. “I wanted the time to get things done while I had the physical strength, the mental strength, to do it. I actually stopped working full-time at age 54, worked for another year or two part-time, and then stopped completely,” he says. On June 20, 2014, President Obama nominated Carolyn W. Colvin as the Commissioner of Social Security. Since February 14, 2013, Carolyn W. Colvin has served as the Acting Commissioner. Prior to this designation, she served as the Deputy Commissioner, confirmed by the United States Senate on December 22, 2010 as President Obama’s nominee. In addition to her role as the Acting Commissioner of Social Security, Ms. Colvin serves as a Trustee to the Social Security Board of Trustees. Ms. Colvin has received numerous awards and recognition for her managerial expertise and creativity. These awards include the Sun Magazine’s 50 Women to Watch in 2014; the Innovations in Aging Leadership Award presented by the Maryland, Virginia and District of Columbia Departments of Aging (2012); The Clifford R. Gross Award for Outstanding Federal Government Public Service presented by the Maryland Chapter of the American Society of Public Administration (2012); Maryland’s Top 100 Women Award from the Daily Record (2005); and , The Women of Achievement Award from Suburban Maryland Business and Professional Women (2005). She has served on a variety of boards and commissions, including the National Committee to Preserve Social Security and Medicare. Ms. Colvin earned her honorary doctorates, graduate and undergraduate degrees in business administration from Morgan State University. Additionally, she completed the Senior Executives in State and Local Government Program at Harvard University, the Maryland Leadership Program, and the Greater Baltimore Leadership Program. Ms. Colvin is from Maryland and currently resides in Anne Arundel County. She has one son and six grandchildren.